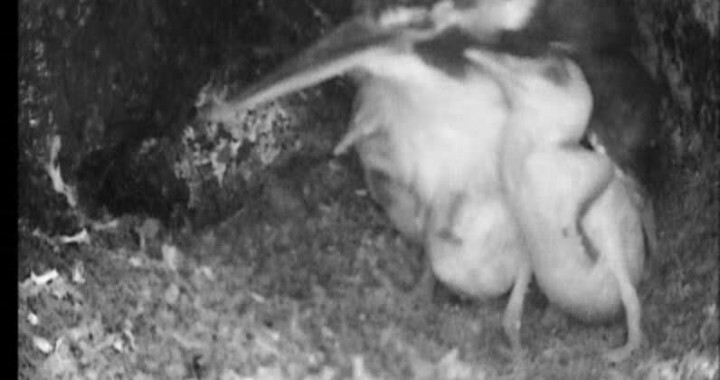 Today marks another important landmark within the breeding cycle. 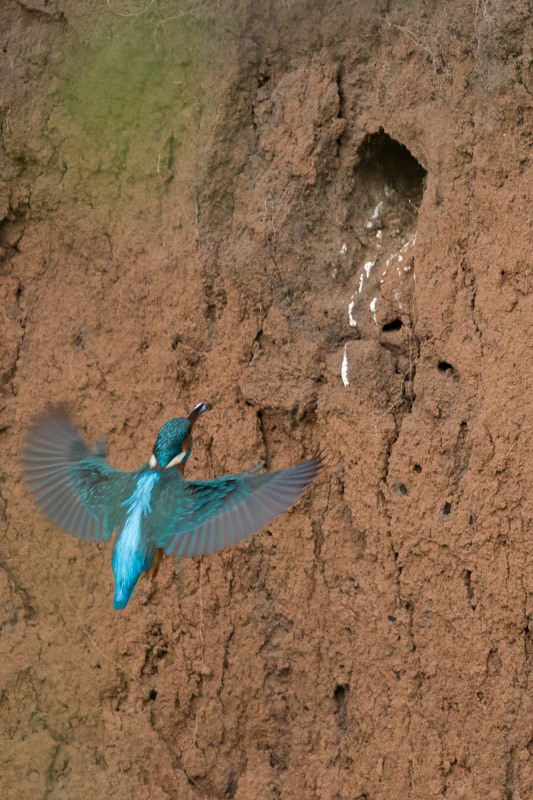 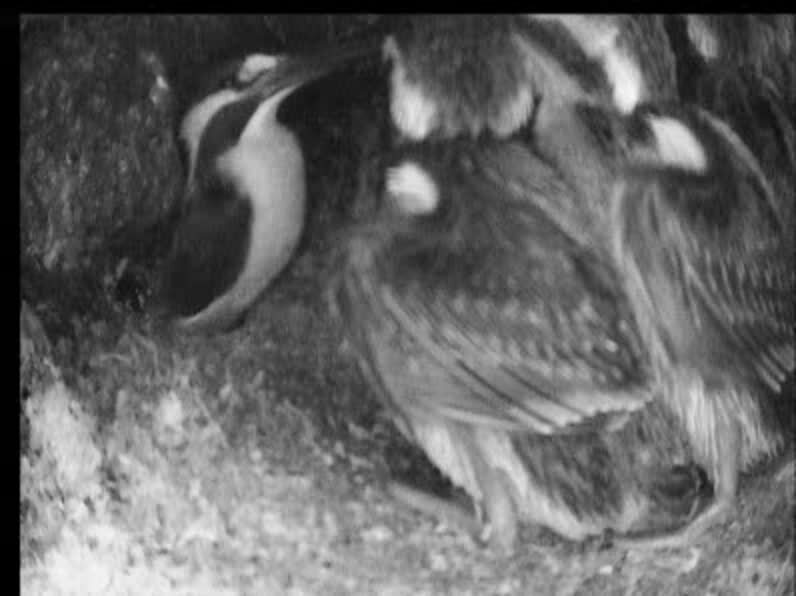 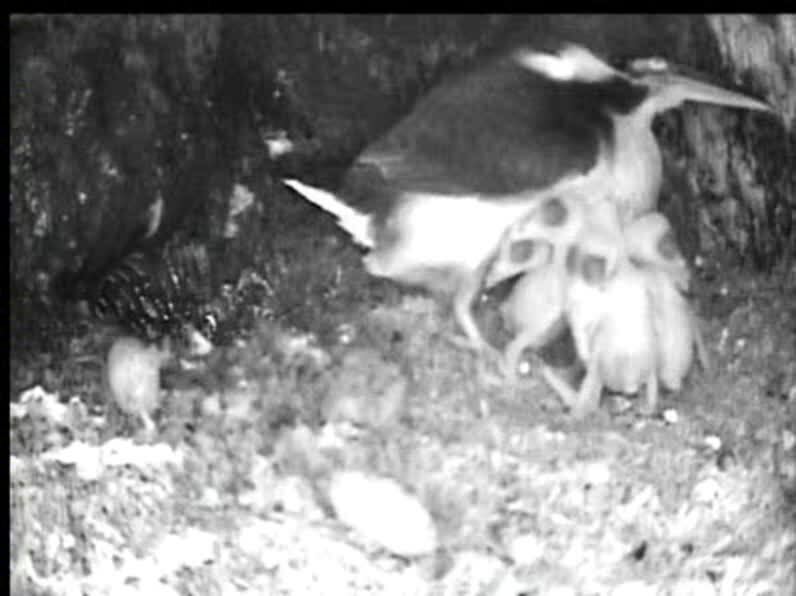 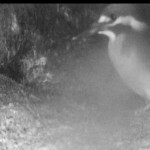 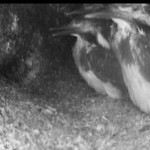 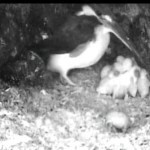 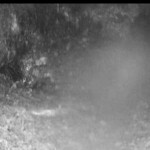 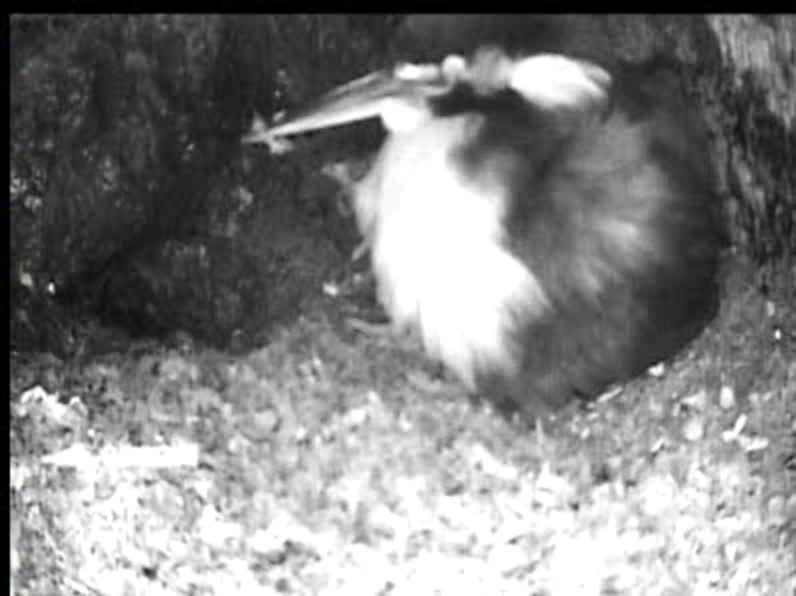 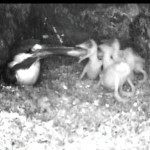 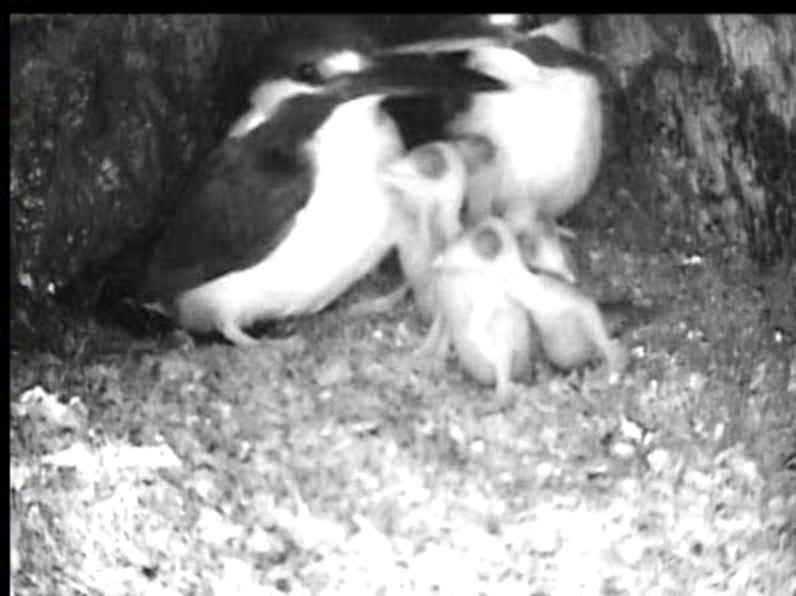 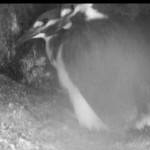 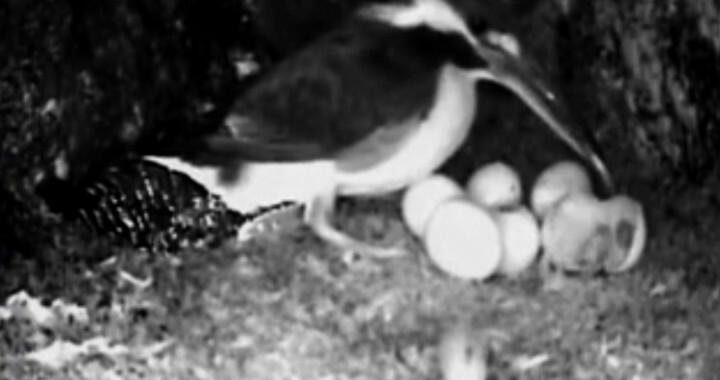 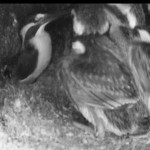 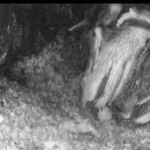 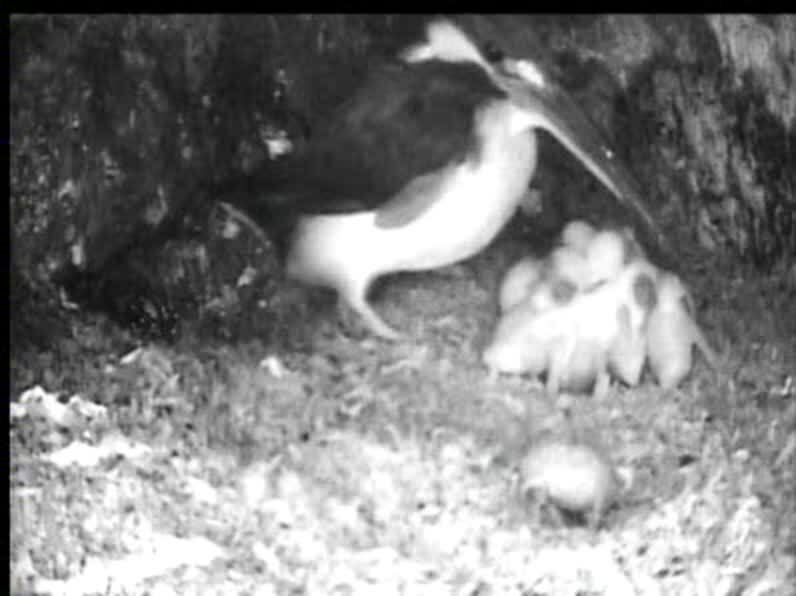 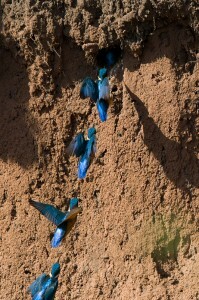 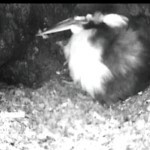 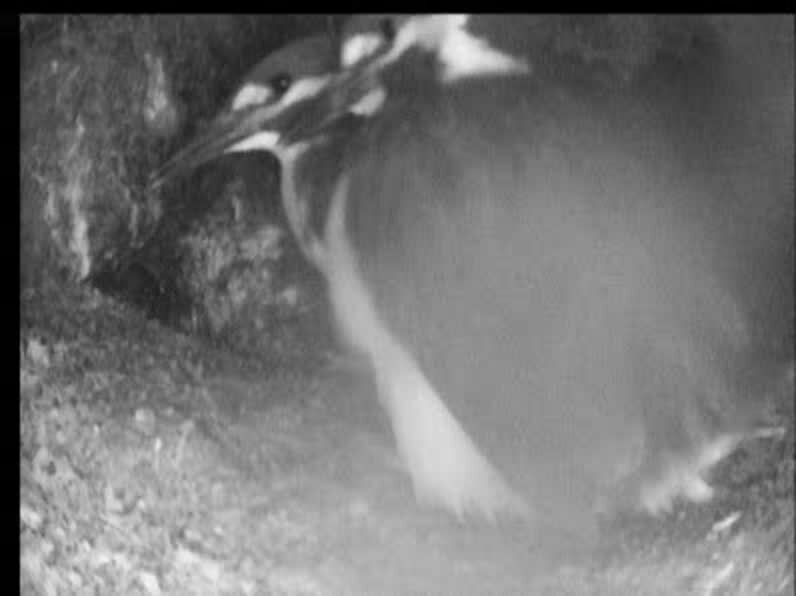 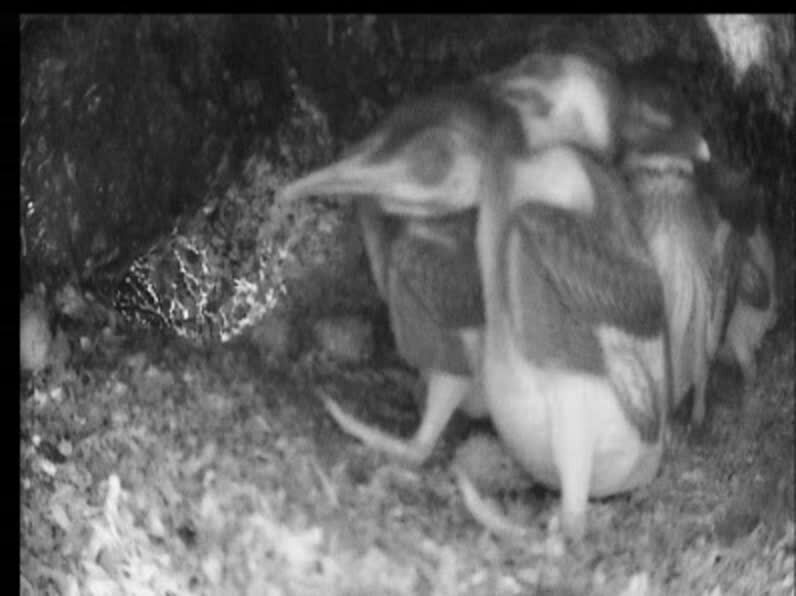 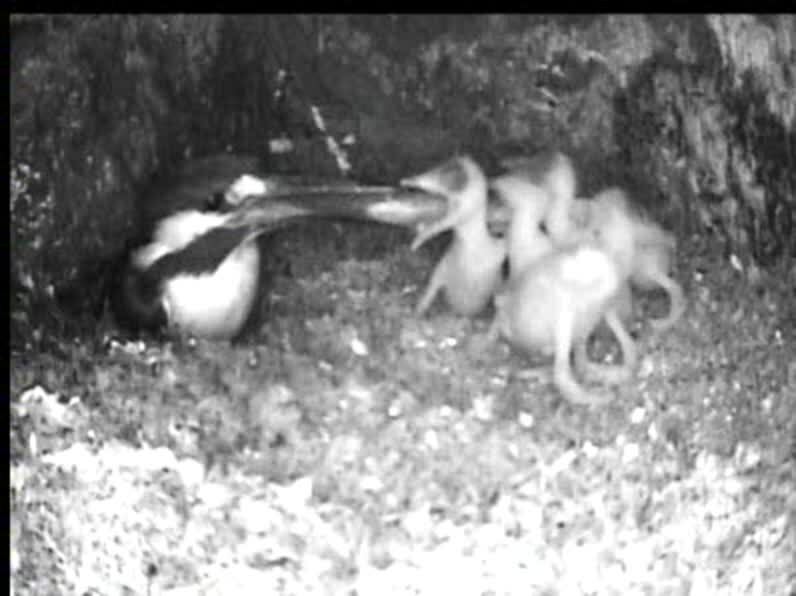 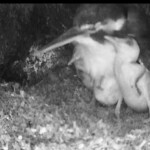 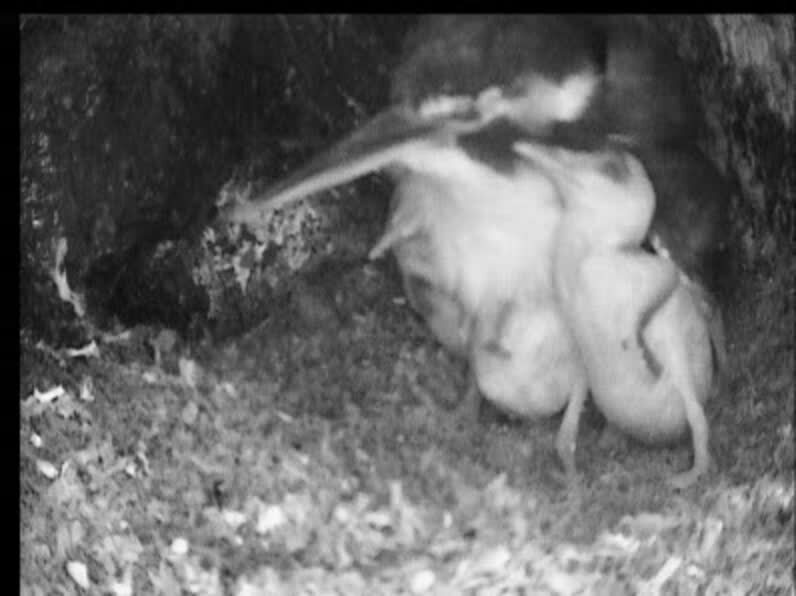 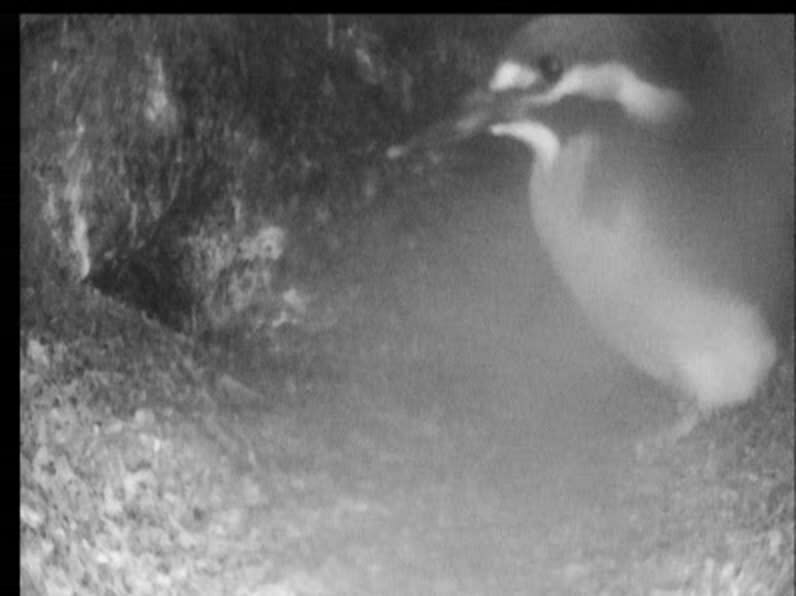 For the first time I’ve seen the female taking a fish into the nest burrow and this means that there are now live young in the nest. 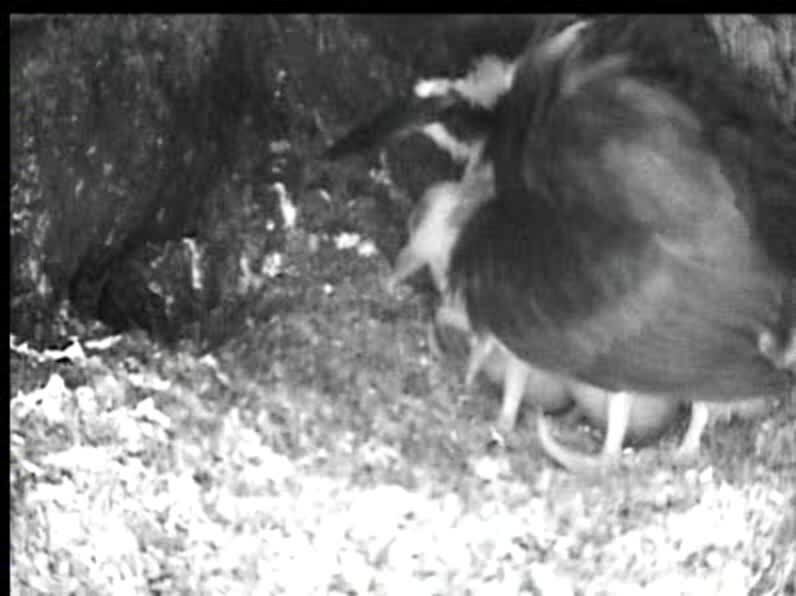 The activity was far less predictable than it has been during the brooding phase. 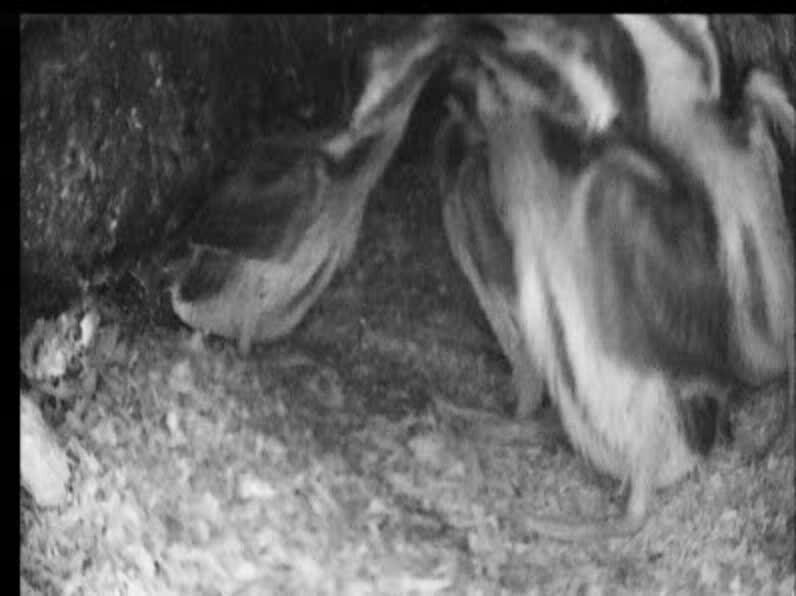 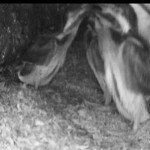 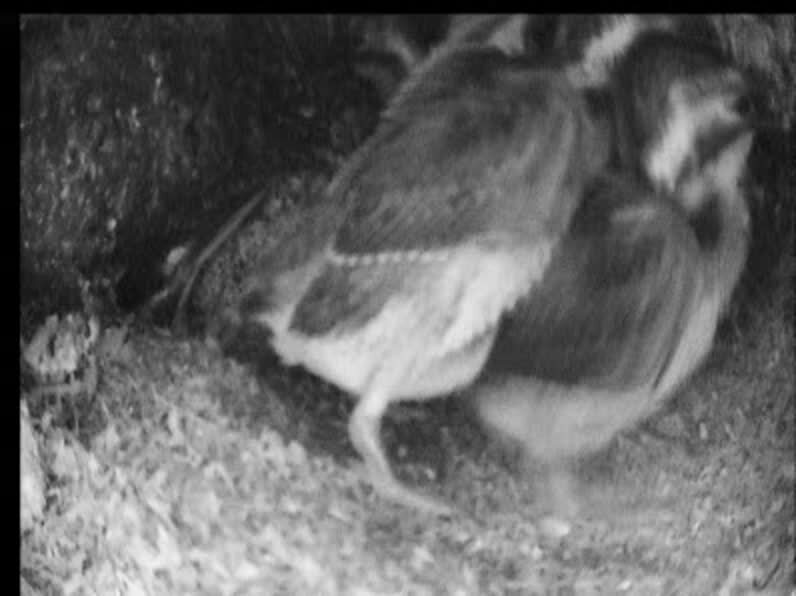 The adults are still leaving the nest site to hunt, but are returning sooner; at one point both adults were inside the burrow for the best part of a minute. 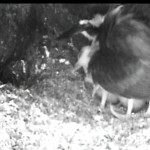 It must take them a bit of getting used to, having live young, where the day before they just had 5 or 6 eggs to worry about. 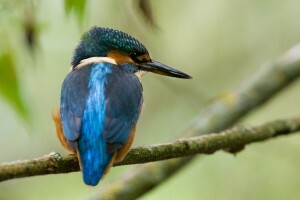 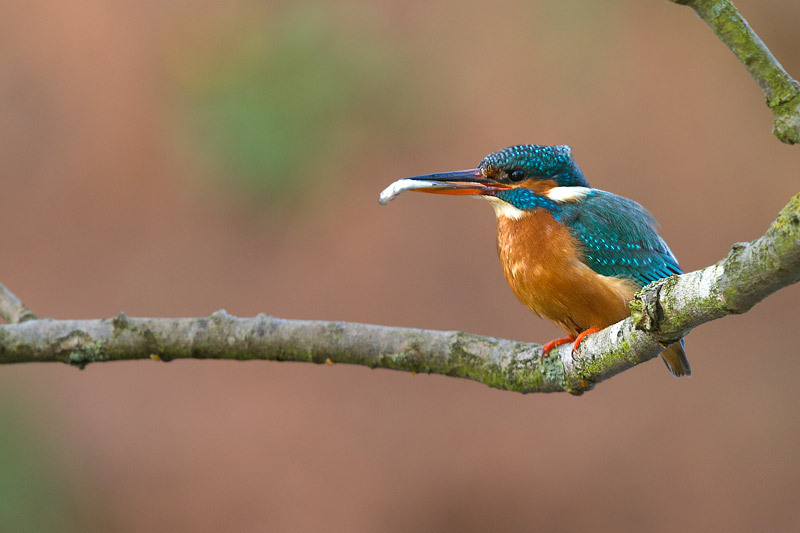 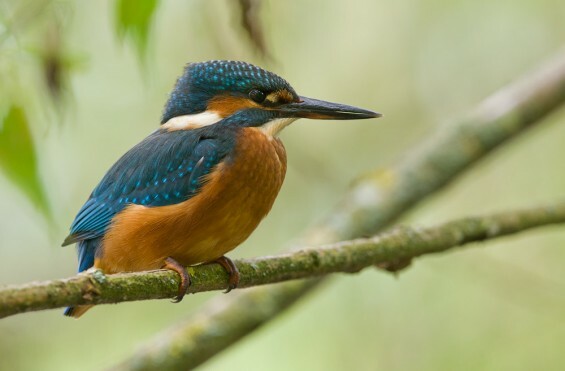 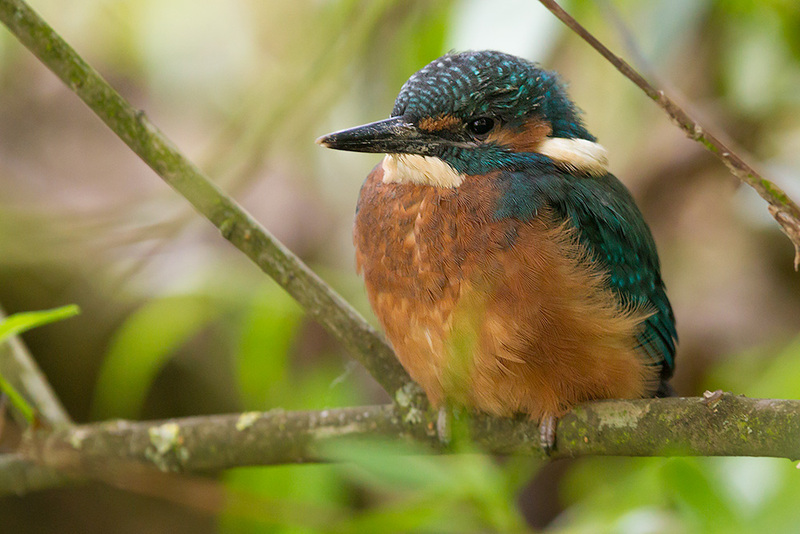 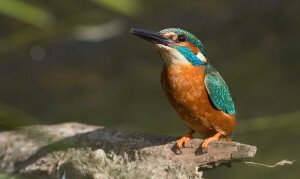 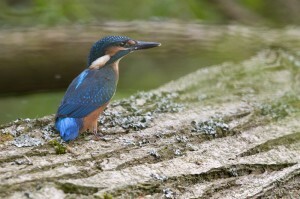 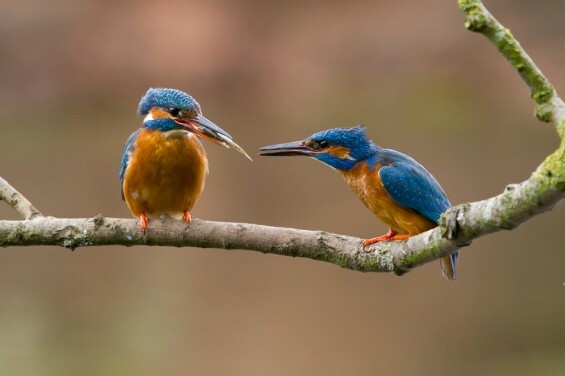 With the high attrition rate and short lifespans of most kingfishers, this may well be the first time this pair have bred, so everything depends on their instincts kicking in and triggering the right behaviour patterns at each stage of the breeding cycle. 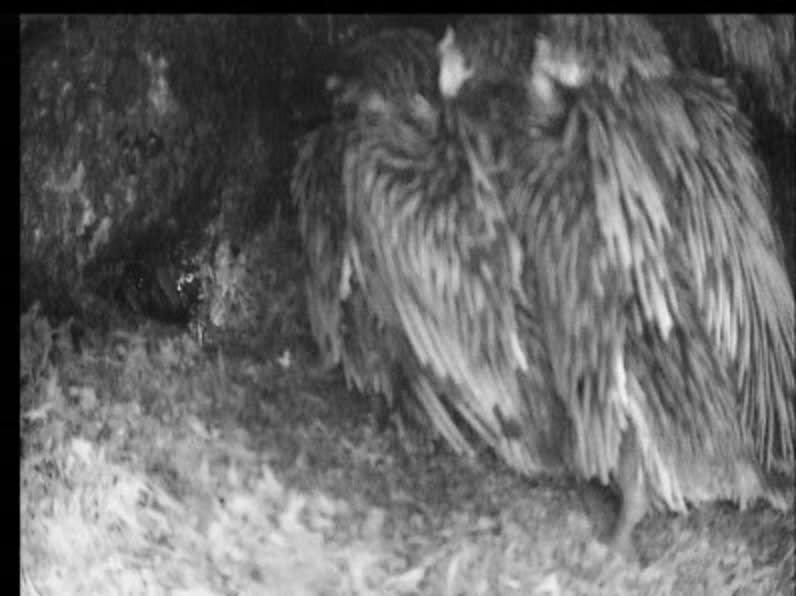 As an onlooker I’m continually fretting about whether the female has been away for too long, or whether the male is staying put long enough, but at the end of the day it’s out of my hands, so all I can do is sit quietly in my hide and watch as events unfold. 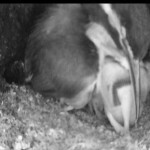 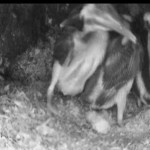 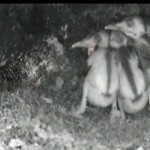 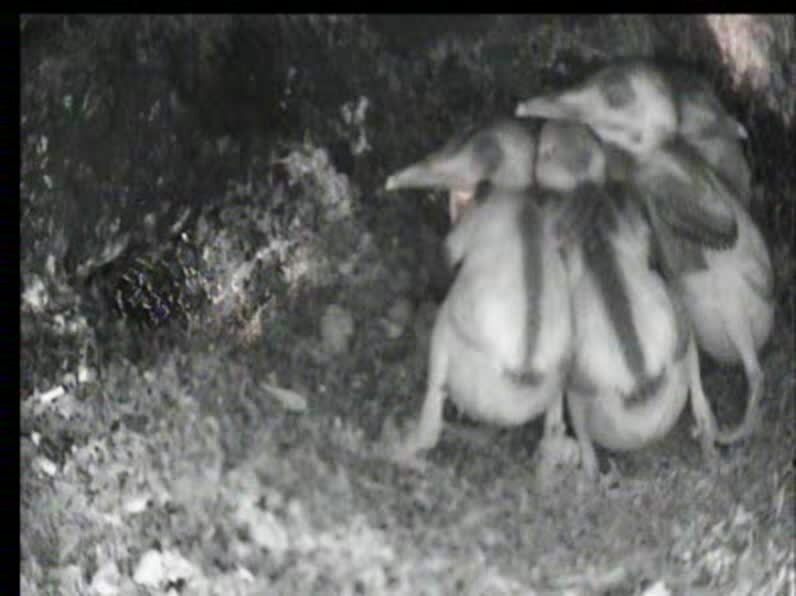 If all goes well, the current phase, during which the adults will have to continually feed the young in the nest burrow, should last about 25 days (although it can be up to 35 days if food supplies are poor). 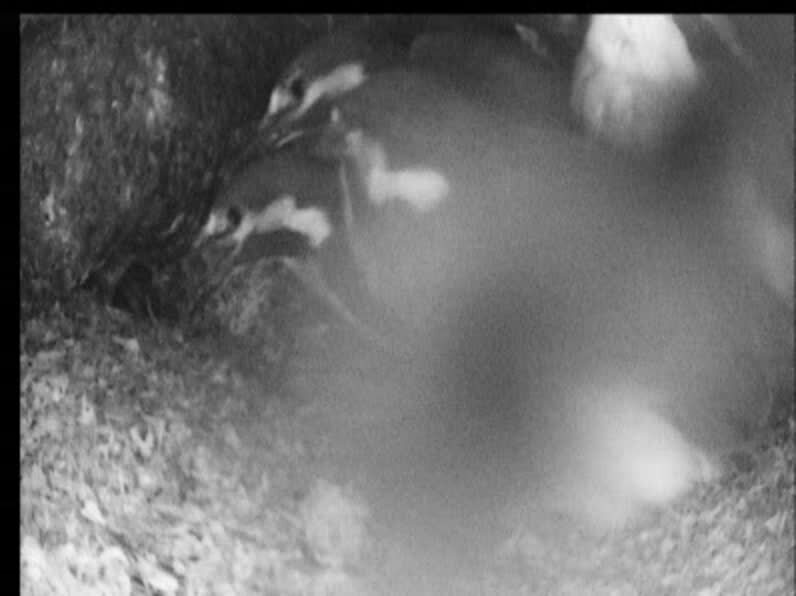 So the target for fledging is mid May, however, in my experience this next phase is the most precarious. 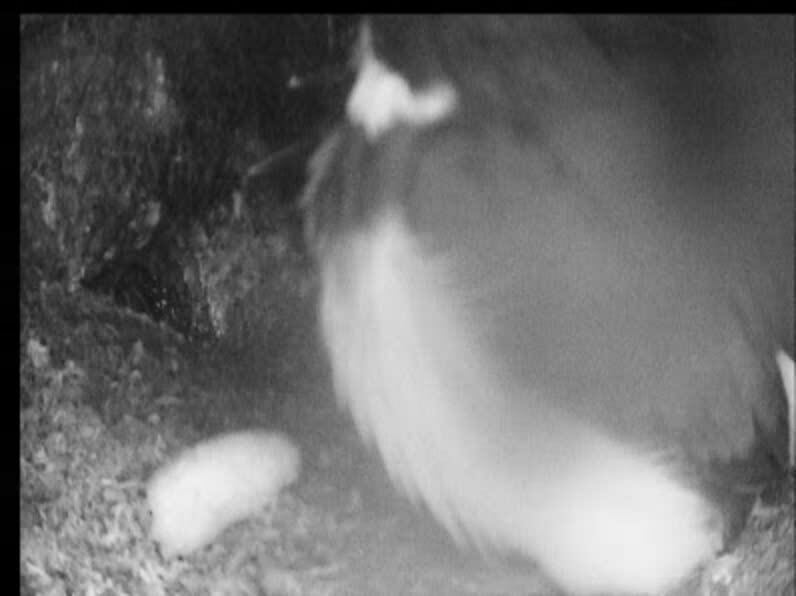 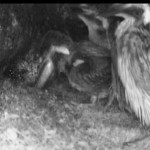 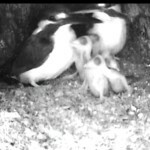 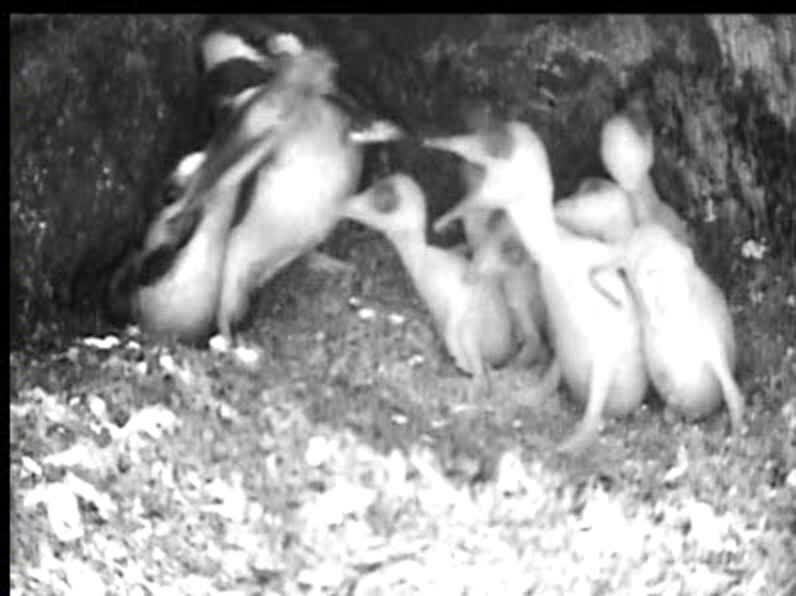 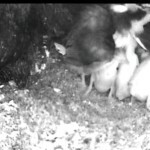 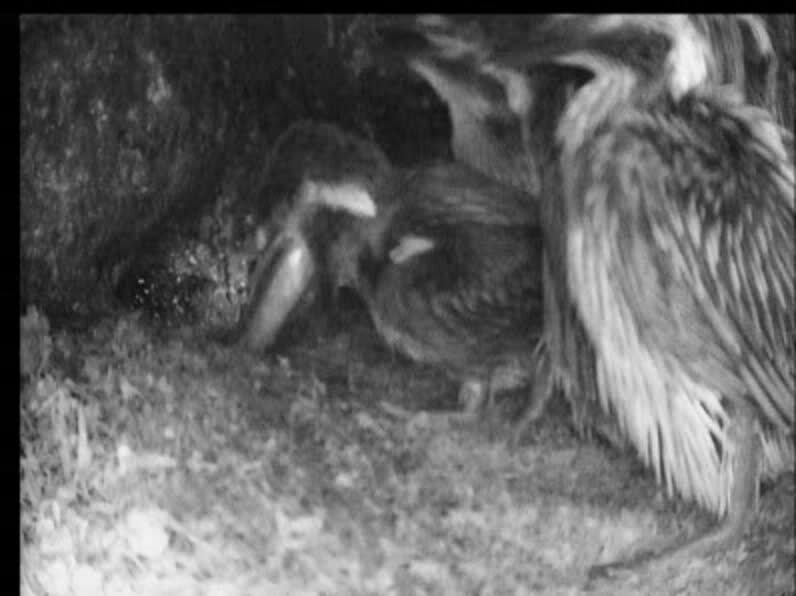 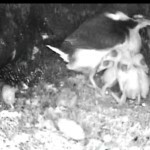 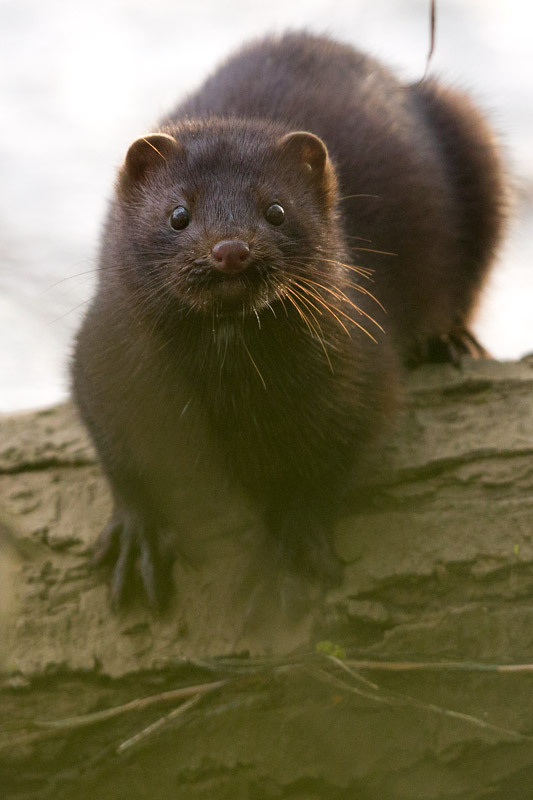 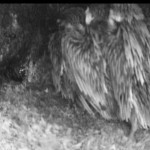 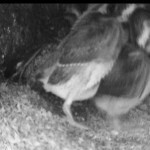 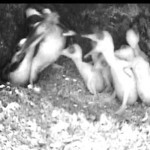 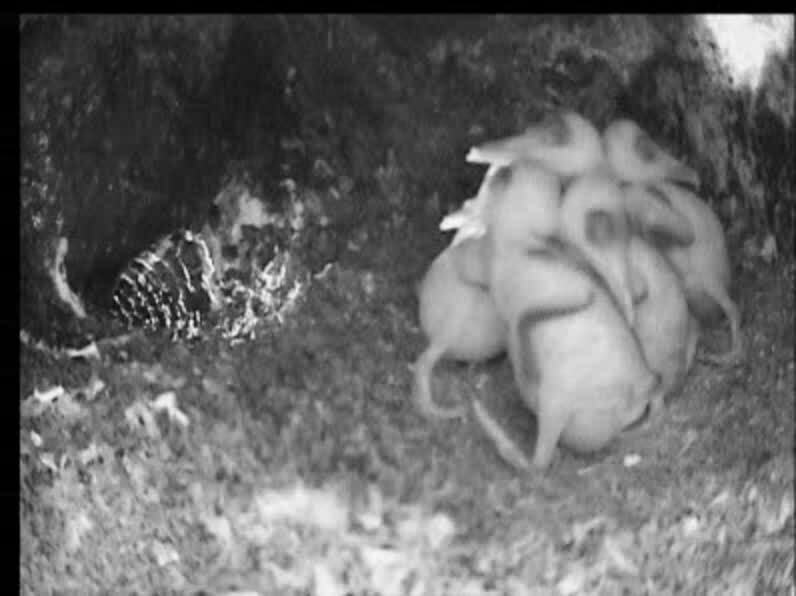 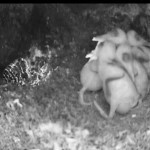 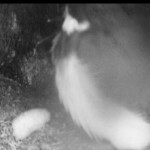 Now the young are in the nest, their calling for food may attract the attention of predators more readily, and it was during this phase last year that the burrow 3ft to the right of this years nest was dug out by mink. 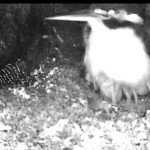 I’ve placed a protective mesh above the nest burrow this year, but I’m still concerned. 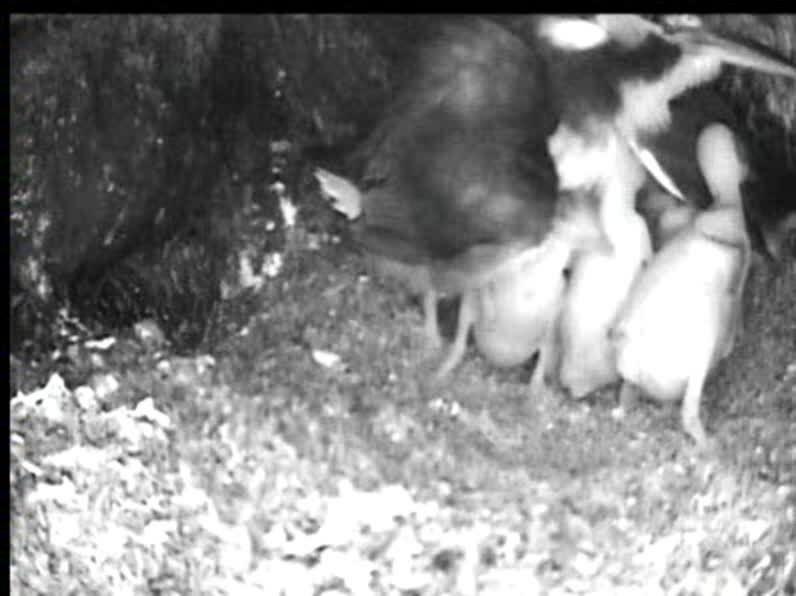 For now, all seems to be going smoothly. 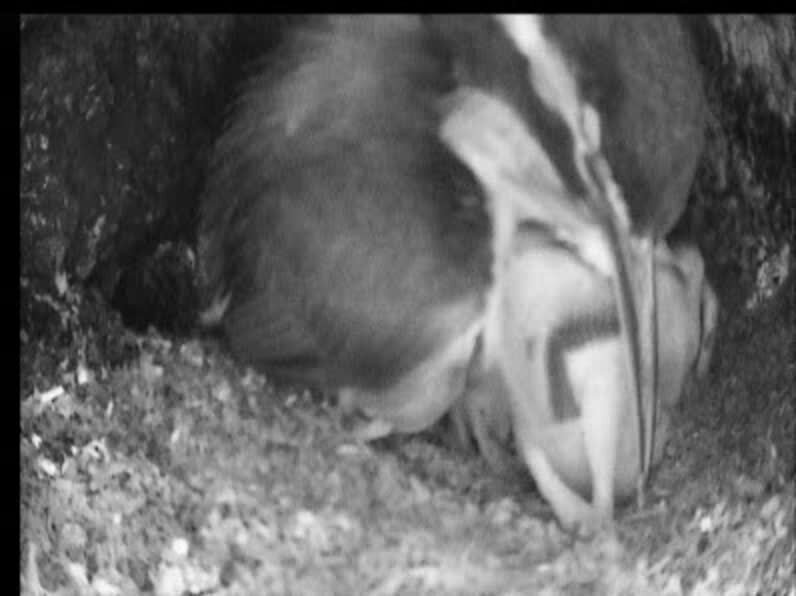 I’ll be keeping a close eye on the burrow over the next few weeks and should also hopefully be able to post some more photos and video footage. 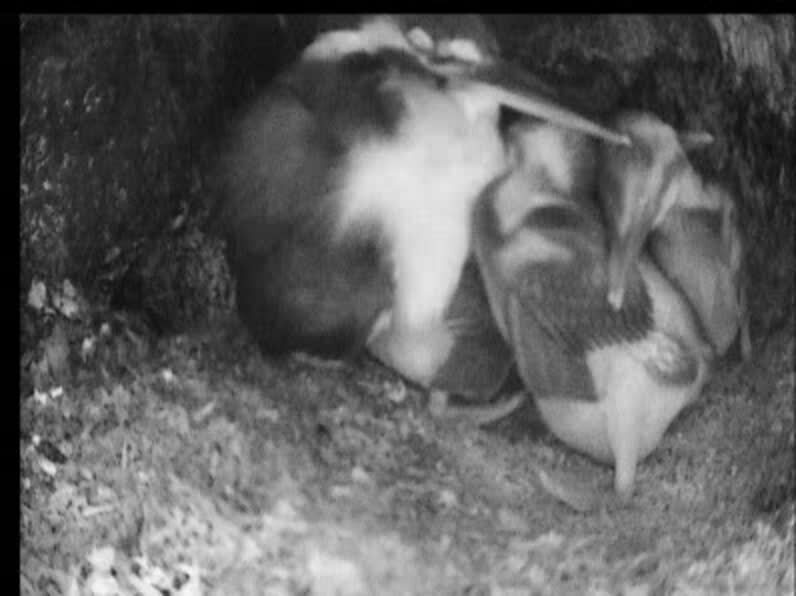 Today’s visit marks another distinct phase in the breeding cycle. 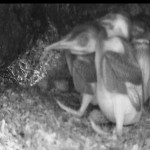 I spent 4 hours observing the nest site today on what has been a bright, if a little chilly morning. 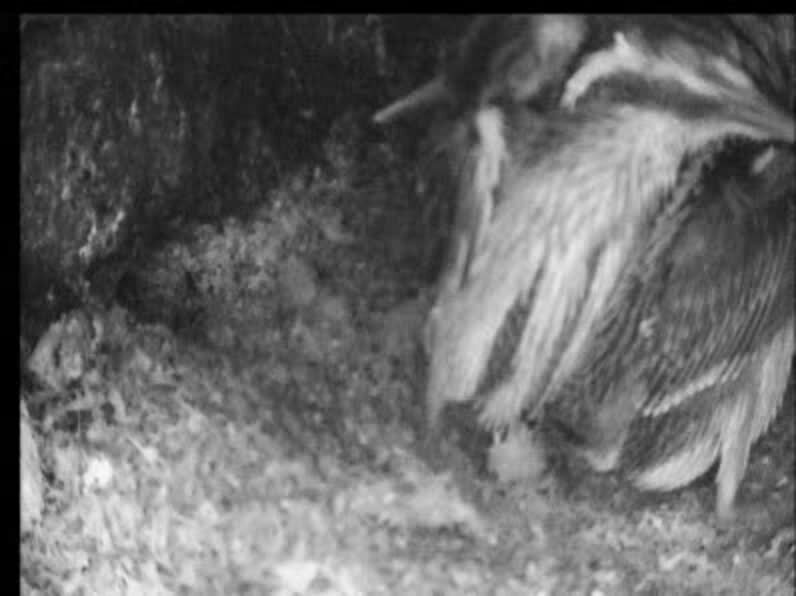 In contrast to my last visit on Wednesday 28th March when the adults stayed mainly in the trees, only briefly visiting the burrow, today I watched as both adults took consecutive turns, staying in the nest burrow on brooding duty. 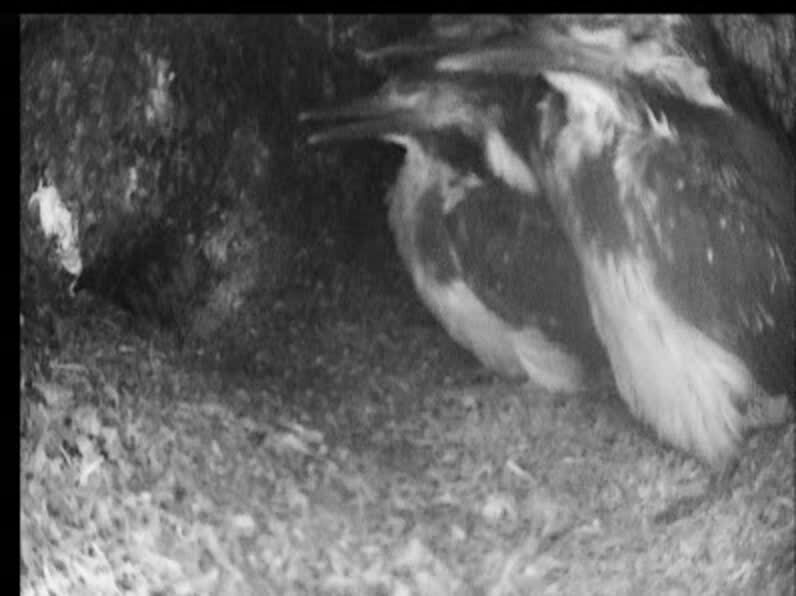 With the mating and egg laying apparently completed, the next 3 weeks should see the kingfishers sharing incubation duties. 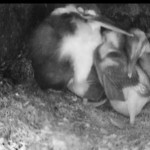 The first 3 changeovers I watched each consisted of 30-45 minute shifts. 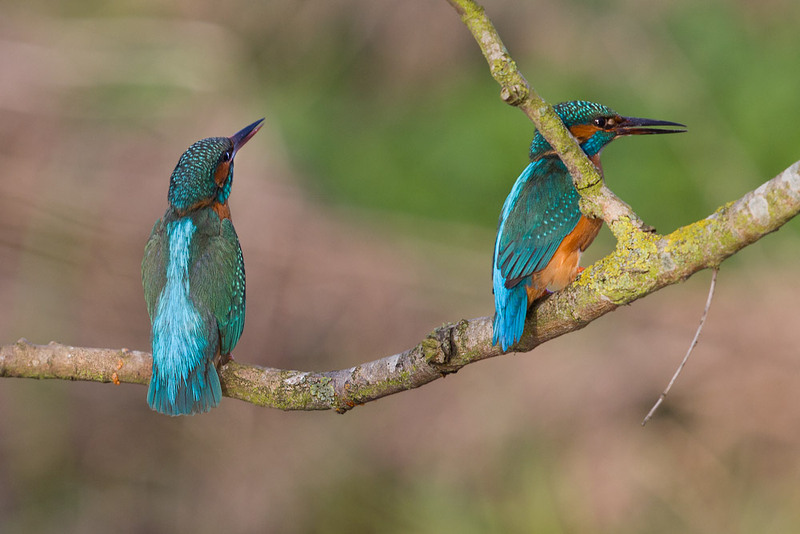 Each time they returned to the nest, they perched opposite the burrow and began calling, several seconds later the brooding bird emerged from the burrow and then they briefly perched together in the tree, both birds continuing to call to each other. 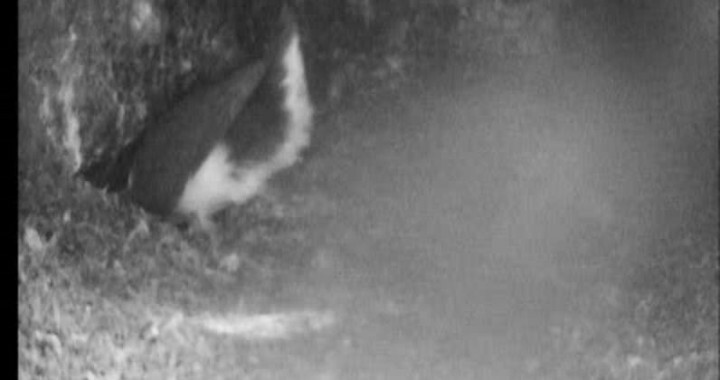 After 20-30 seconds the returning bird flew across to the burrow to commence brooding duty while the other flew off to hunt. 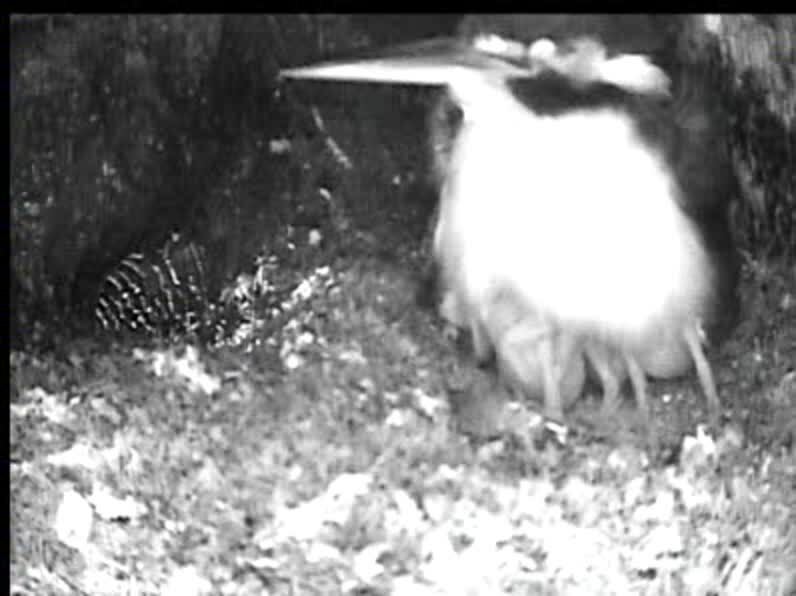 The final changeover I watched had me a bit worried; the female was away from the nest, and after an hour she still hadn’t returned. 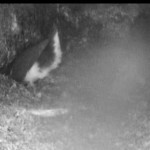 The male emerged from the burrow after 1 hour 15 minutes for several minutes, calling and flying from branch to branch, looking slightly agitated before returning to the burrow. 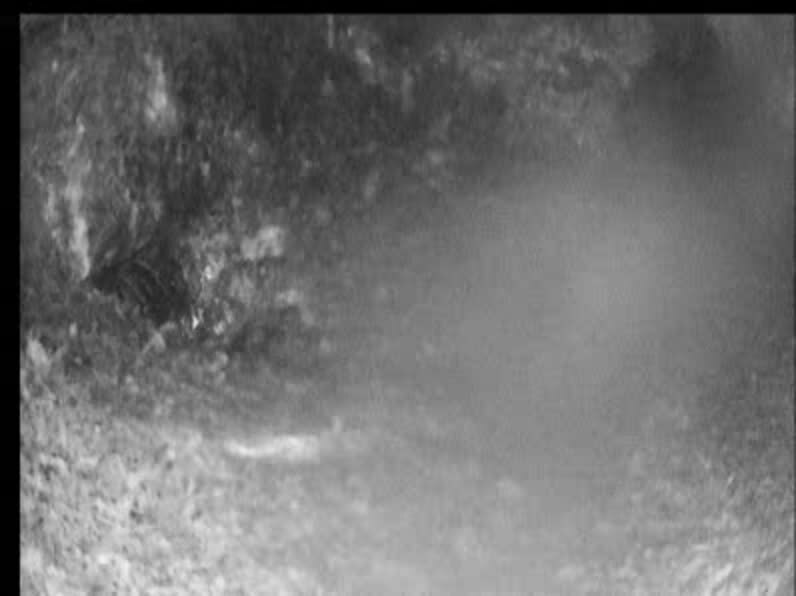 The female finally arrived back at the burrow after being away for over 2 hours (the male then vacated immediately and flew downstream, not bothering to stop and say hello). 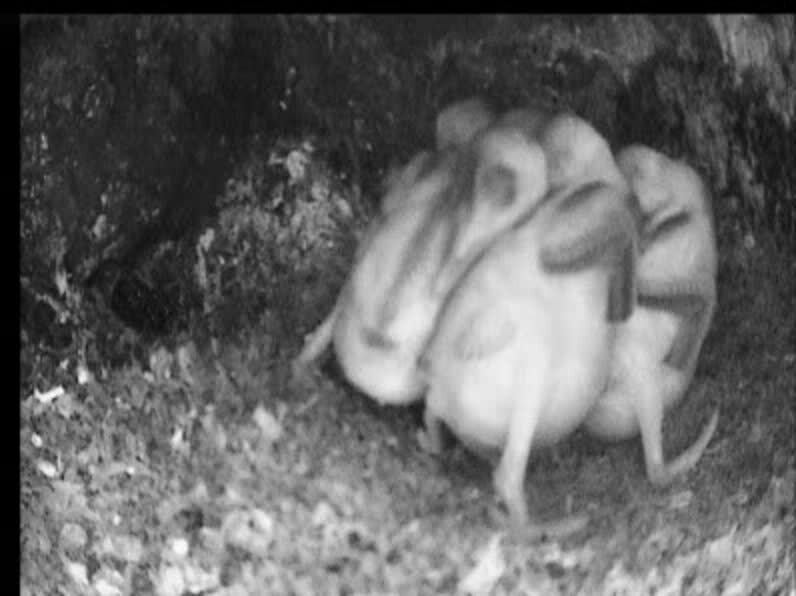 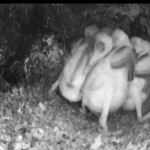 As I can pin down the transition from laying to brooding to within the last 5 days I can predict reasonably confidently that the brood should hatch (assuming nothing disastrous happens) somewhere around the third week in April. 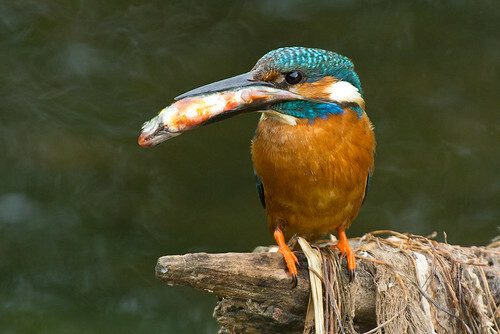 Kingfisher fast food, a photo by andyh400 on Flickr. 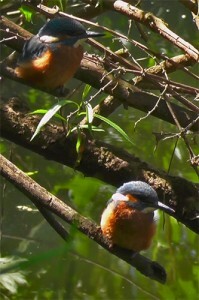 This male Kingfisher seems to be catching larger fish every time I watch him. 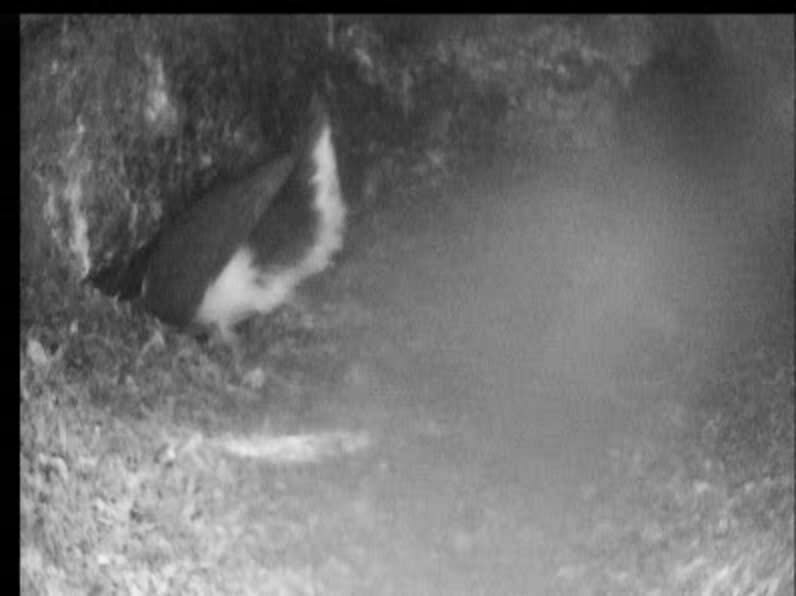 I suppose it means he can make fewer journeys to the nest burrow.